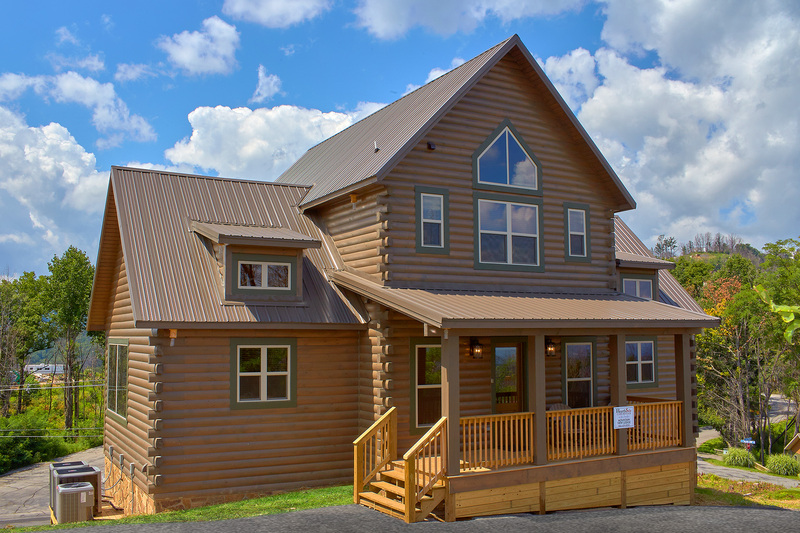 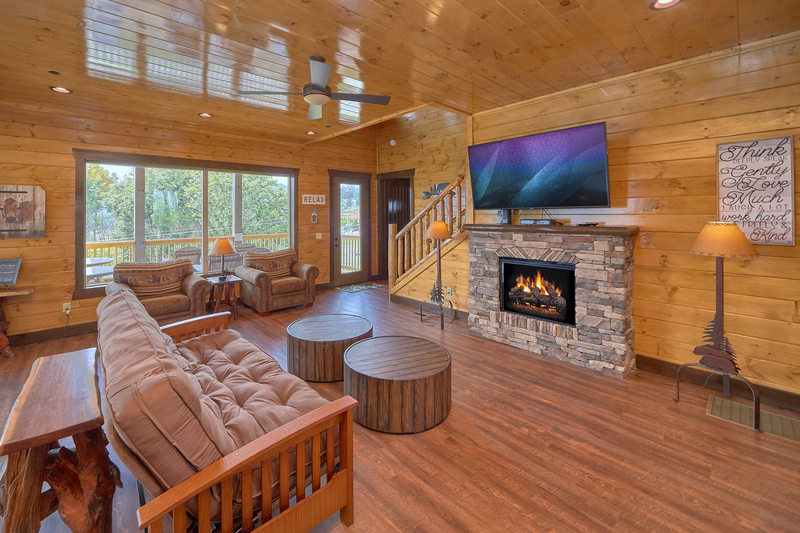 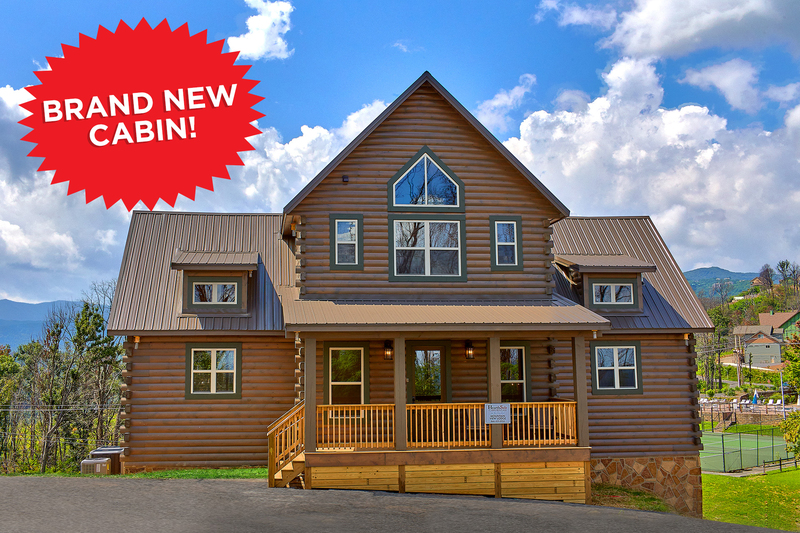 ***BRAND NEW CABIN WITH SMOKY MOUNTAIN VIEWS*** Coming August 2018, the brand new Mountain View Lodge will be the place that you want to come to year after year! 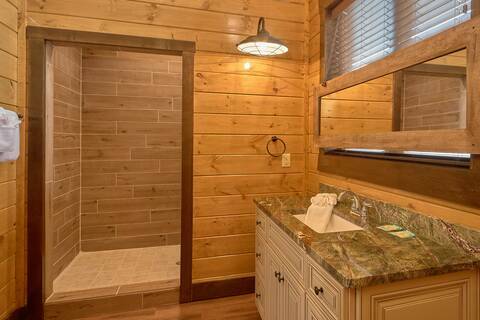 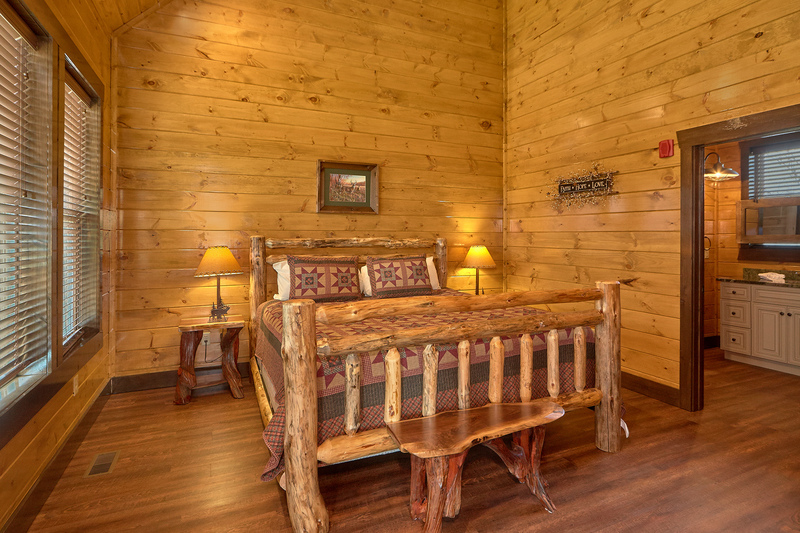 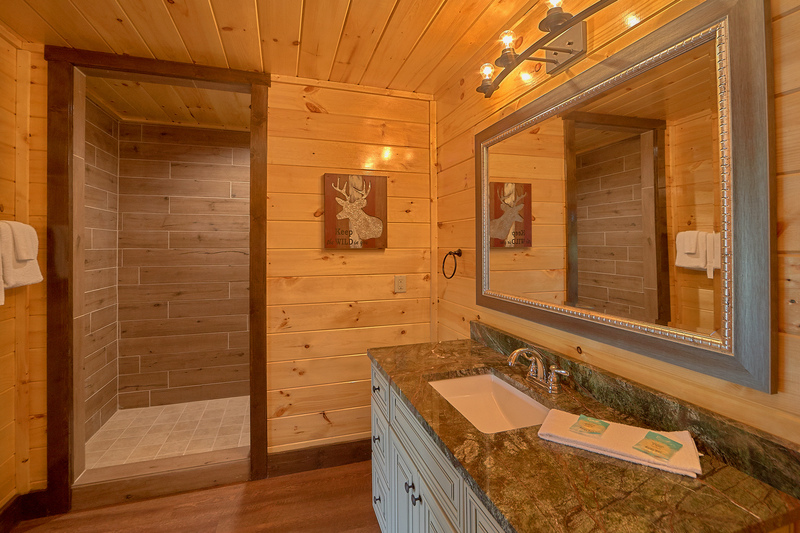 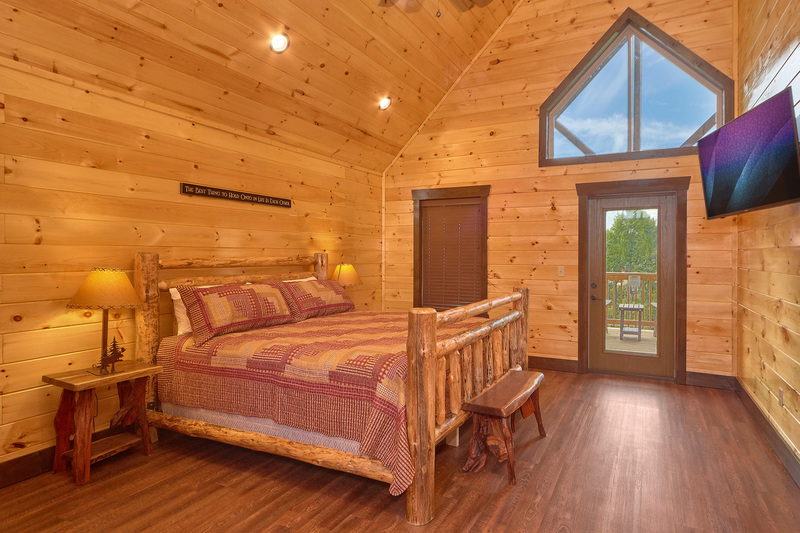 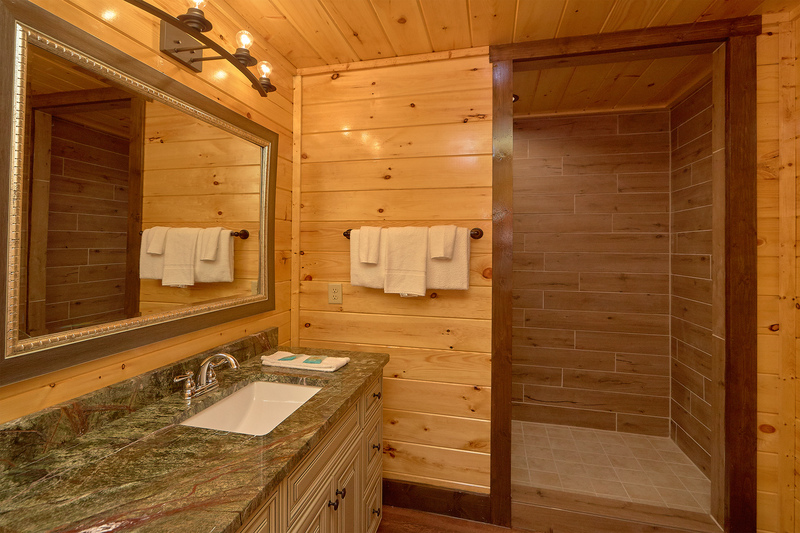 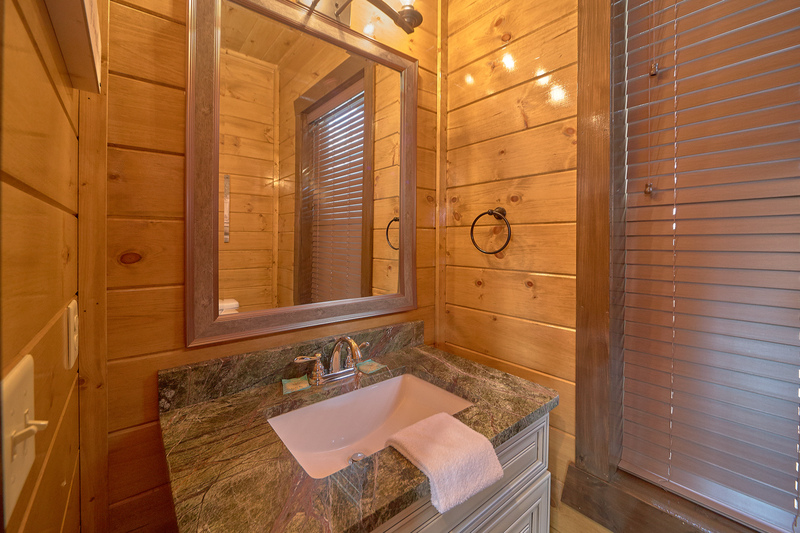 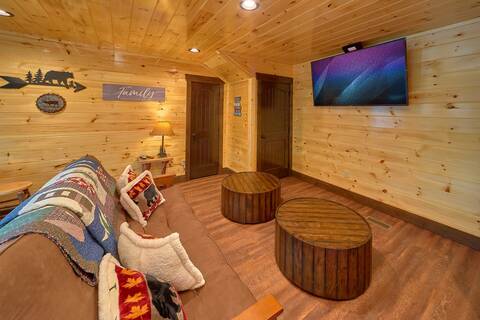 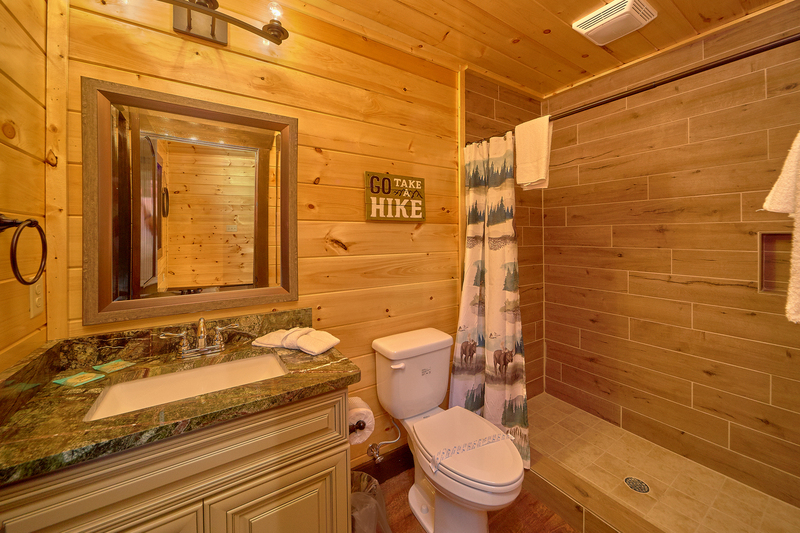 This wonderful cabin features 3 bedrooms plus a private loft. 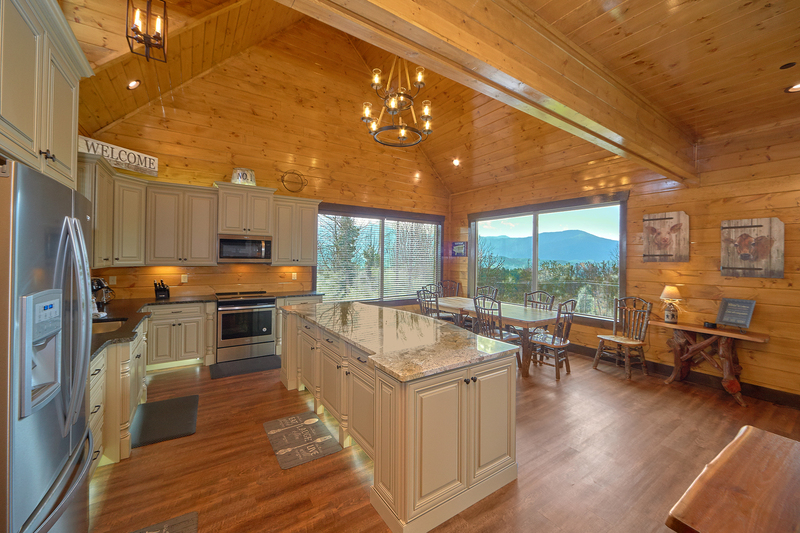 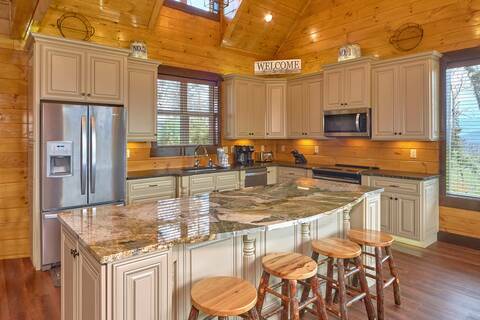 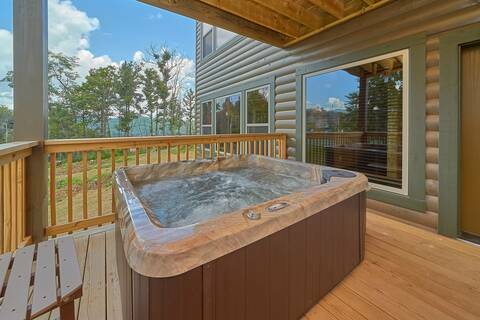 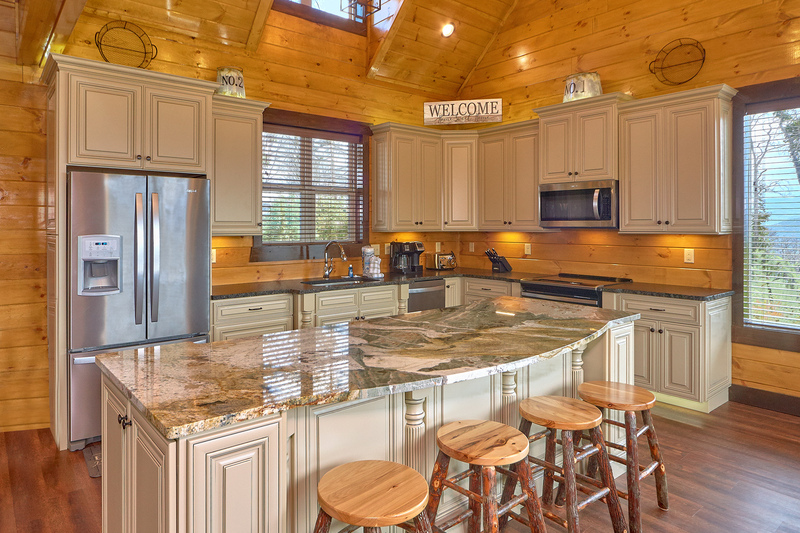 MAIN ENTRY LEVEL: Mountain View Lodge features an open floor plan on the entry level. 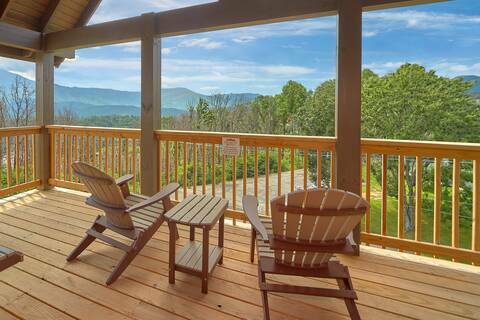 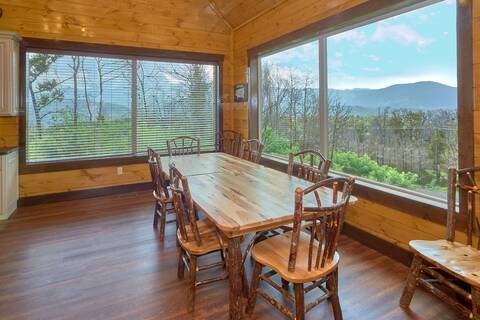 You will find a fully-equipped kitchen and dining area with large windows facing the Great Smoky Mountains National Park. There is a living room on this level with a large flat screen television, a futon, and a half bathroom. The entry level also features a master bedroom with a King-sized bed and a full private bathroom. You can enjoy the view from inside or outside on your own private deck. 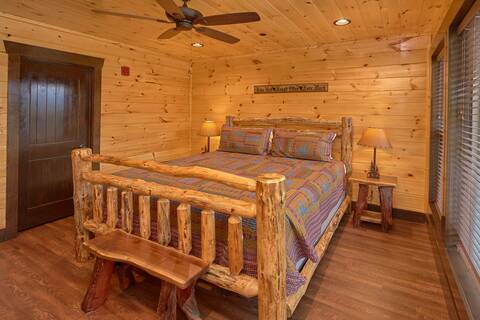 Sleep 4 people on this level. 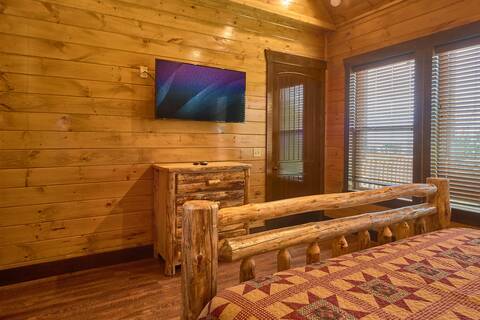 LOFT: A wooden staircase lead to a loft area that features a king sized bed, a futon couch, a private full bath and your very own private covered porch with incredible views! The loft area will sleep 4 guests. LOWER LEVEL: The stairway down leads to a lower level that is loaded with awesome amenities and more bedrooms. 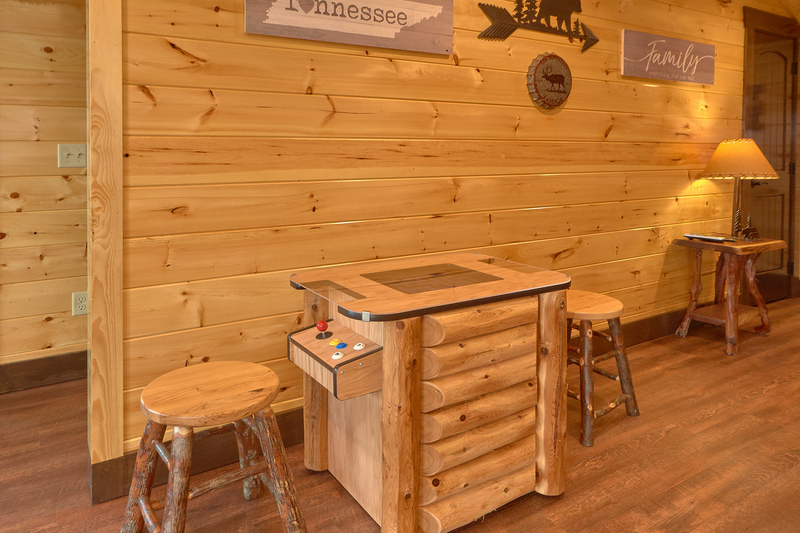 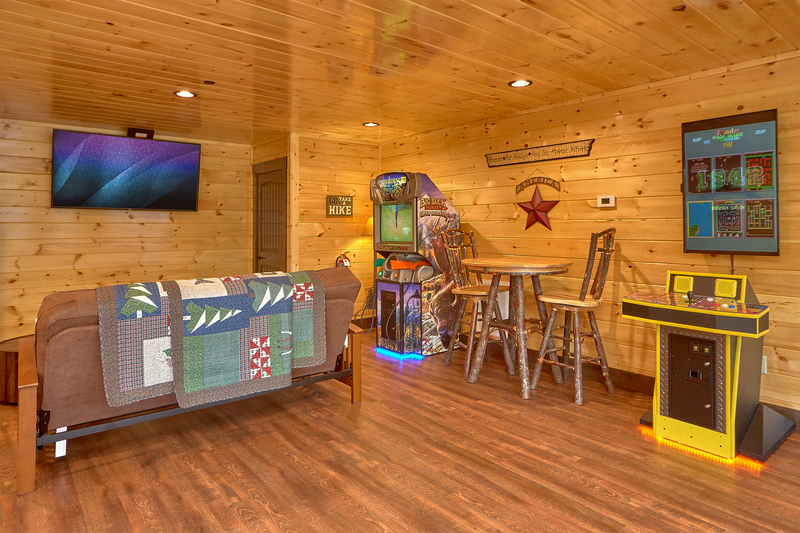 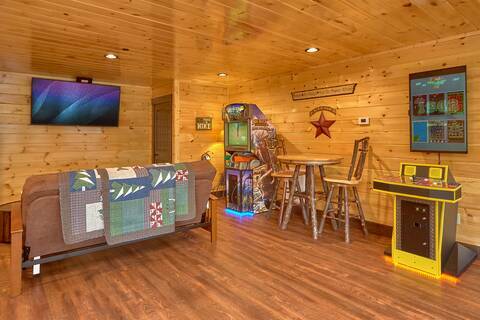 The amenities in the entertainment area include a Big Buck Video game, a Multicade upright video game loaded with 60 1980's classics, a large flat screen TV, a futon for extra sleeping, and a relaxing hot tub set on the covered porch. 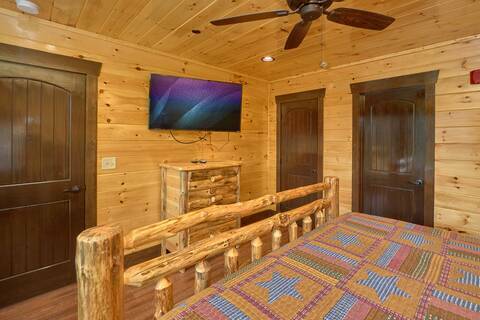 This level features 2 bedrooms. 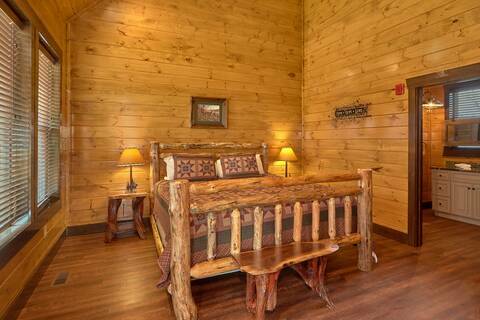 One bedroom with a King size bed and one with a set of Queen size bunk beds. 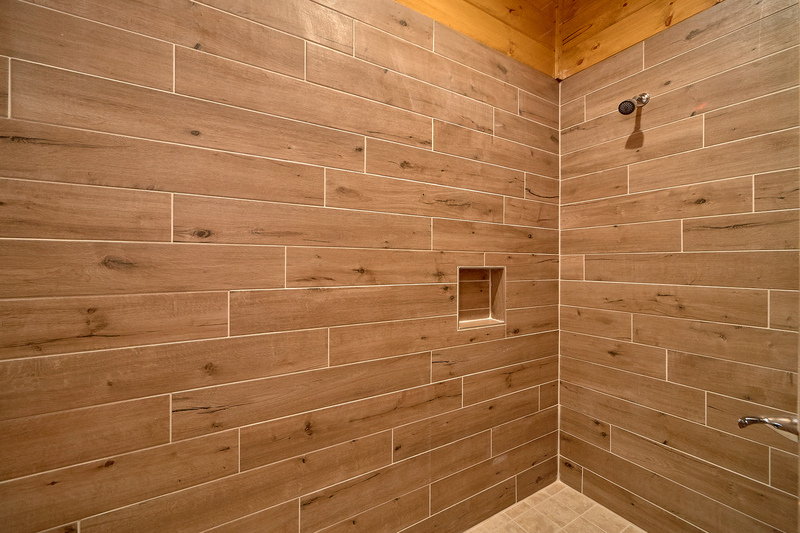 Both bedrooms have a full bathroom. 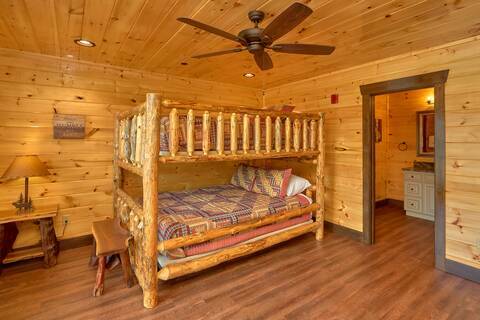 This level will sleep 8 guests. 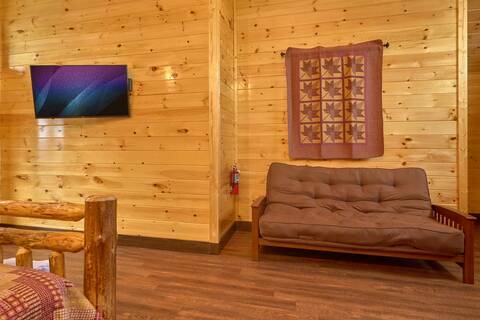 AMENITIES: Mountain View Lodge is located directly across the street from the Chalet Village Clubhouse. Enjoy Tennis Courts, a seasonal swimming pool and other great amenities, all accessible with your reservation in this Brand New Cabin!